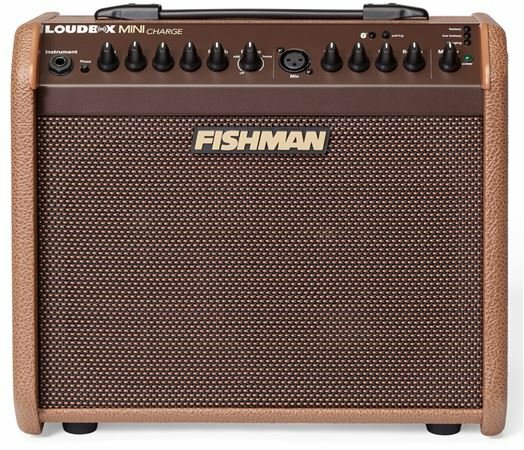 Order your Fishman Loudbox Mini Charge Battery Powered Acoustic Guitar Amplifier from AMS and enjoy 0% Interest Payment Plans, Free Shipping, Free Extended Warranty & 45 Day Money Back Guarantee. Free 30-Day Pass to GuitarInstructor Rebate! A portable battery-powered amplifier, the Loudbox Mini Charge is designed to take your music anywhere. The Mini Charge faithfully reproduces the sound of your acoustic instruments and vocal or recorded accompaniments. With the addition of Bluetooth wireless connectivity, you can now easily and neatly add backing tracks or other accompaniment to your performances, jams, or wherever your Loudbox Mini Charge takes you and your music. Where Are You Going to Take It? The Fishman name and portability says it all! SOO GLAD I GOT IT! having had another battery 30 watt'r by another co. i was bummed by that under-powered unit (not to mention all the batteries involved), i dumped it, then found out about fishman coming out w/a rechargeable. WOW!! it blows that other unit away, the whole design, sound & performance! i'm a uke player & already having the 120 artist amp, this little power house fits in just great. glad i got one..get one for sure, especially fm AMS!! mahalo jim 'kimo' s.
I own a Taylor 814 Cocobola, the Holy Grail of acoustic guitars, After endless research, I chose this amp, together, complete bliss. I couldn’t be happier, beyond my wildest expectations. Portable, Bluetooth, and transparent, just buy it, you won’t regret it. As a champion of Fishman gear, I have to say that the Loudbox Mini Charge represents a bold and much needed step forward in battery powered amplifiers. In addition to decades of festival and club performances, I frequently turn to busking for extra money, fun, and promotion. Until now, choices regarding battery amps have been slim and inadequate. How many of you performers out there have been suffering through the torture of playing through junky, anemic little boxes that don’t even come close to expressing your true sound? I was definitely there. Until now!! Fishman has really come through with the Charge. It’s everything you love about their amps, but chargeable and ready to move with you. No compromises and nothing dumbed down. 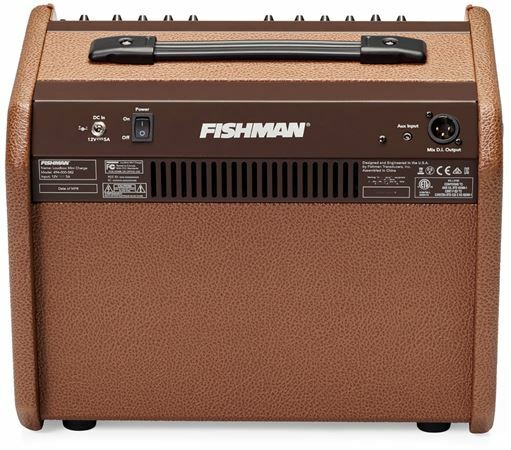 It’s about time somebody stepped up in the battery amp category, and I hope this offering from Fishman encourages other companies to do likewise. Happy, inspired, and unplugged!!!! 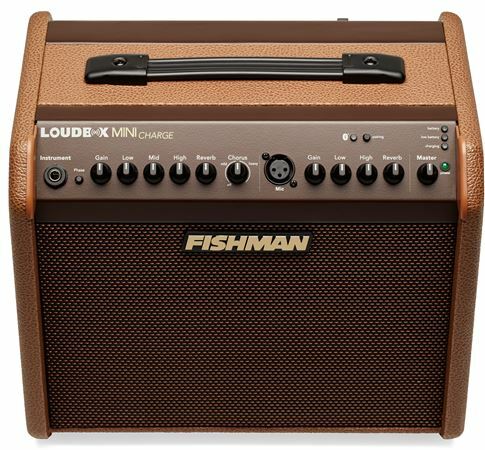 Purchase a new Fishman Loudbox Mini with Bluetooth or Loudbox Mini Charge from AMS between March 15, 2019 and May 15, 2019 and receive a free 30-Day G-PASS to GuitarInstructor.com upon submission at fishman.com/playalong/!